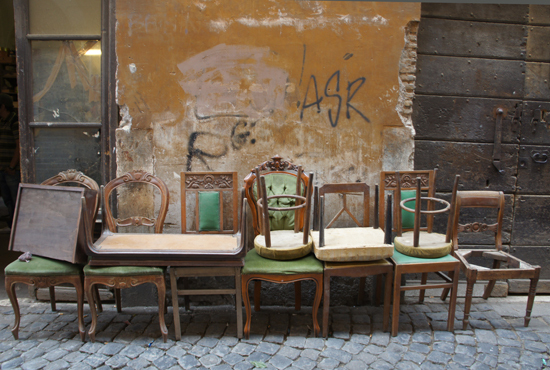 Wandering through Trastevere (Tras-tev-er-ay) in Rome I asked a local artisan jeweler where to eat for lunch. Go left, first right, go left again, then go all the way straight to the little piazza and look for Augusto. I found the place and said OMG it's this place! I had eaten with the locals at this exact same workers trattoria on my last trip to Rome and wondered if I would ever find it again. Nothing had changed in 8 years. 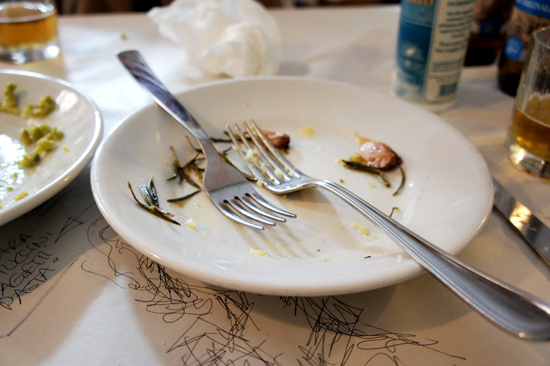 It's foodie karma I tell you. 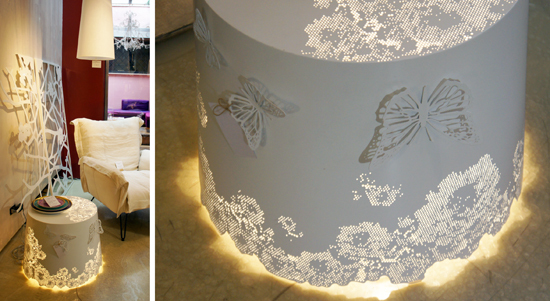 Loved this laser cut metal, illuminated side table with moveable magnetic butterflies. Can you imagine these on a roof top bar... a balmy night, catching up with friends for an Aperol spritz whilst overlooking a fabulous city ... (oh, that's right, that was Florence... sigh). Spotted in TAD, Rome. Throughout history the Romans have been famous for their walls. I thought this rear wall was quite striking. I have no recollection of where, who, when - somewhere in Rome is the best I can do. As a general rule retailers always want big shop fronts. In Europe this is might not be an option. Over the past few days in Rome I have walked though many a small door expecting to find a small shop, instead what hides inside is often a big surprise; a huge treasure chest of goodies on show in various rooms over various levels. 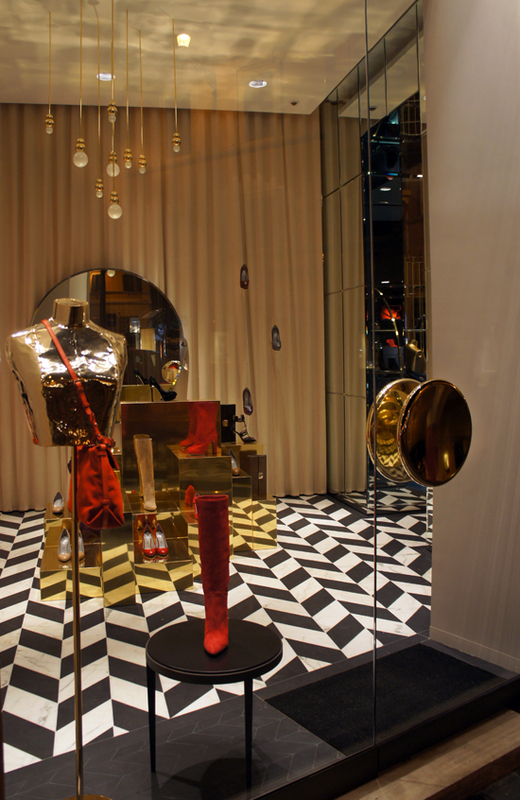 TAD is one such trove of designer fashion, shoes, accessories, homewares, furniture, perfumes and body products and an exhibition by a local artist (also for sale). A gorgeous cafe, stunning little florist and hair salon are also in the mix. TAD is a one-stop emporium of carefully selected labels by the owners who travel the world in search of unique pieces. My thanks to the absolutely charming staff who gave me a tour and allowed these photos when I dropped in unannounced. 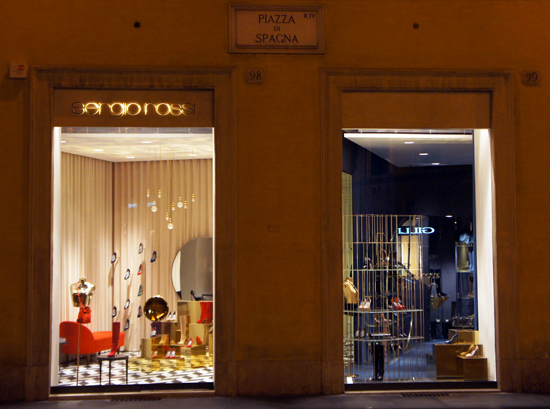 You can find TAD at Via del Babuino, 155a, Rome. 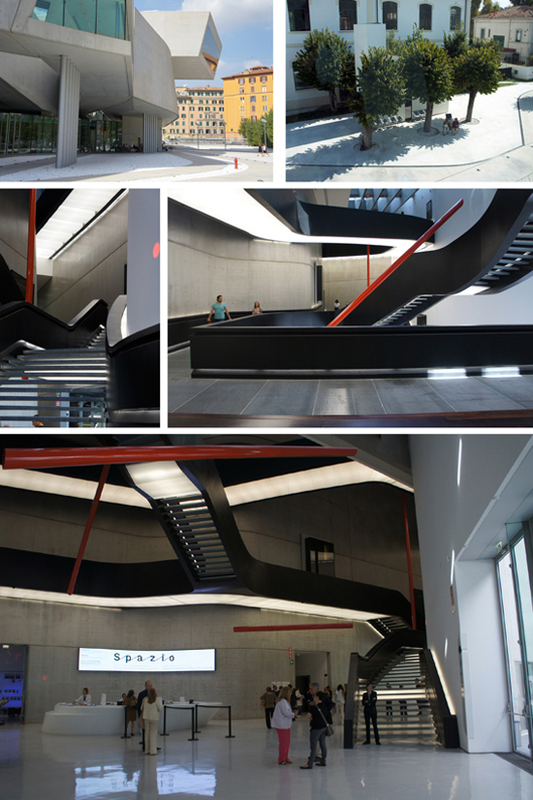 Zaha Hadid's Maxxi is minimalist and fluid on a grand scale. The retrospective of Luigi Moretti's work a stand out. If you're in Rome this is a must. Loved this little moment in a side street somewhere between Valentino Red and Versace. Stopped for a freshly squeezed OJ at this quirky cafe somewhere near the Campo di Fiori yesterday. 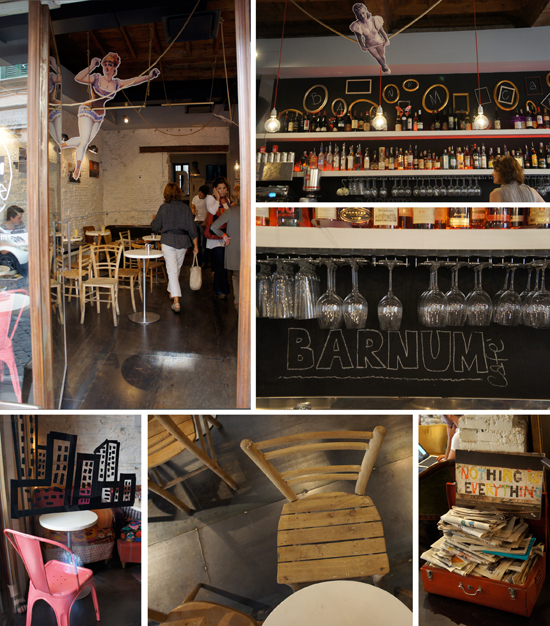 Loved the trapeze artists swinging from the ceiling, kookie collection of chairs and wacky bits and pieces that all worked together to create a theatrical space. Etro is a family owned fashion label that has been around since the late 60s's and known for its design detail, paisley and luxurious fabrics for both men's and women's wear, accessories and fragrances. 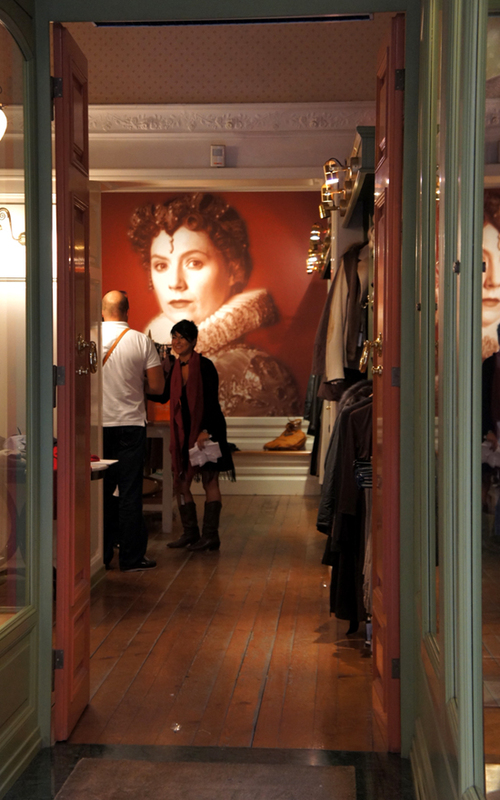 Via del Babuino is full of luxury brands (and quite a bit of attitude I must say). I am delighted to report the staff at Etro lacked the snooty factor and know how to laugh (which translated into know how to sell!) Who could resist Giacamo's fabulous smile and sense of humor? Not I said the duck and walked out with a divine sandalwood scent. 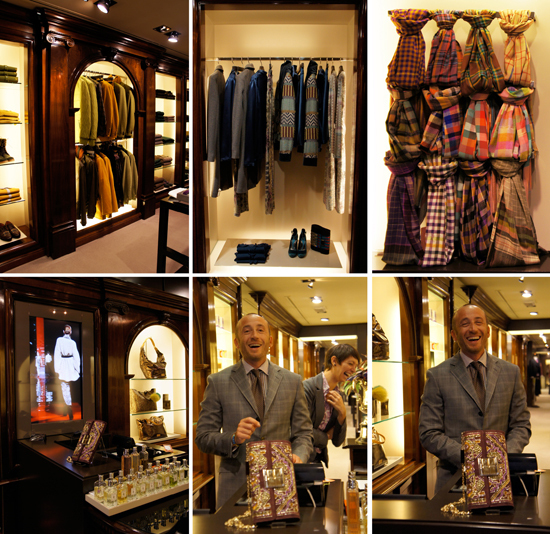 A beautifully presented store, if you've ever been to Harrold's on Collins Street (Melbourne) then you get the impression they might have taken a store design and display clue from the Etro crew. Ooh imagine if shoes did grow on trees - I'd plant a Manolo B variety! I spotted this stick & shoe combo yesterday (and just happened to snap that stylish lady who was obviously out shopping and coveting a little suede number at the same time). Reporting in from Rome this morning (as you do). One of the upsides of being a blogger is that when jet lag hits and you are wide awake at midnight you just get up and go hunting for great window shots (no people to get in the Pod's way either - I like that). Sergio's dramatic floor caught my eye whilst sitting on the Spanish Steps on a beautiful balmy night as the clocked ticked over into Tuesday.